Pedals for Progress: The Rotary Club of Vineland has donated hundreds of bicycles since beginning its relationship with Pedals for Progress. 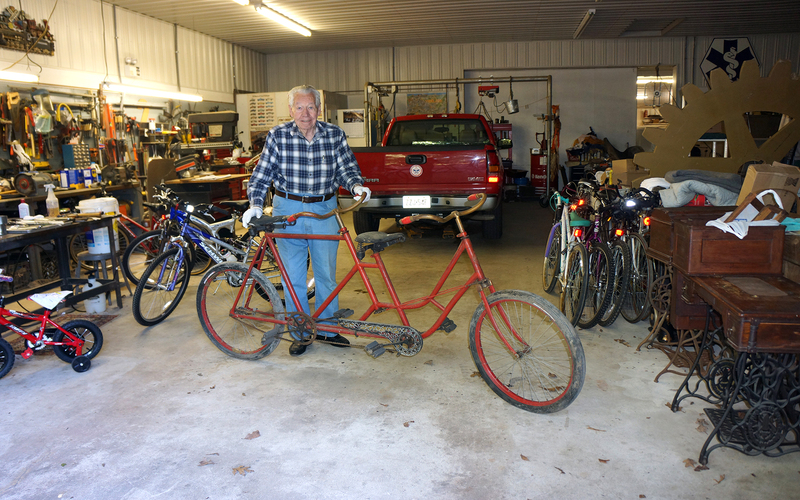 In 2014 alone, the club collected and donated approximately 160 bikes, helping many children and adults in need of transportation to school and work. In addition to collecting the bikes, the club covers the cost of shipping them overseas (approximately $10 per bike). Pedals for Progress is a non-profit corporation devoted to global economic development. It has strived to improve economic prosperity in developing communities. The organization ships bikes to over 30 countries. Each bike represents food for the table and helps keep families together. Bicycles represent mobility and can make the difference between success and failure for a family. Children often use the bikes to attend school on a regular basis. Water for HOPE: Did you know that one water filtration system, costing approximately $50, can provide clean water for a family for up to 10 years. The Rotary Club of Vineland supports this effort each year. Most recently, the club donated the funds necessary to send water filtration ssytems and H2O packs to the Philippines for use by families in need. Mission in Santo Domingo: The Armando Rosenberg Home and School located in Santo Domingo, was established in the mid 1980’s by Rotary Clubs from South Jersey. Today, it is a safe haven for children. There are approximately 160 orphans there, and it also serves 1,600 to 1,800 community children with before and after school care. Because of the orphanage, children have the opportunity to receive an elementary and high school education. This makes a marked difference since the public school system only goes to 7th grade. A handful of Religious run the orphanage, which also functions as a community center providing medical and dental care at its onsite clinic. Each year, the Rotary Club of Vineland donates a pallet of food along with other items collected by Rotary District 7640. In addition, “boxes of love” (shoe boxes filled with age-appropriate toys and items) are provided by the Interact Clubs. The boxes are always a big hit with the children and are among their most prized possessions. 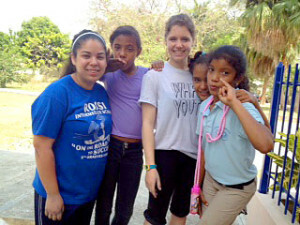 The club (and its Interact club members) participates in a delegation of volunteers who travel to the orphanage each year. The delegation visits the impoverished country to work and make a difference. While at the orphanage, the volunteers clean up dangerous debris from lots on site, trim tree branches, paint the inside and outside of the buildings, and make lasting bonds with the children who live there.